Family photo at Lemon Lake Park in Crown Point, Indiana. 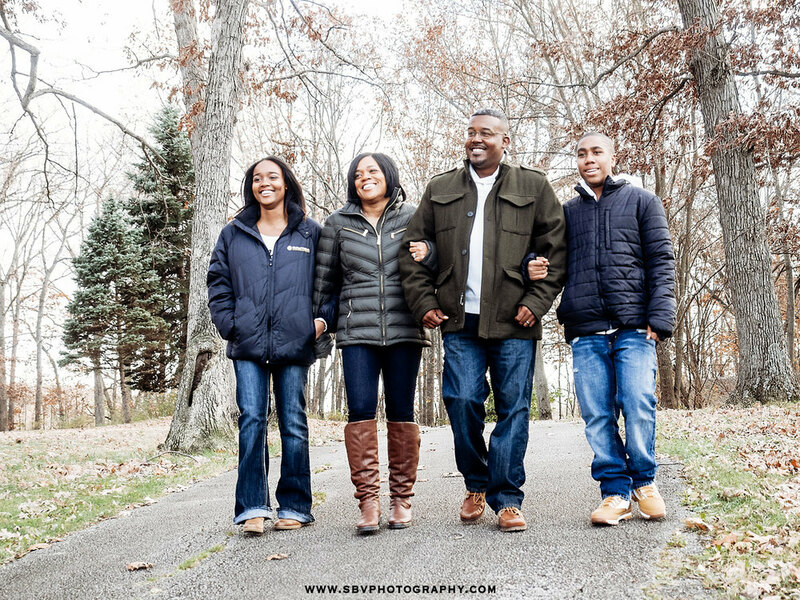 I was so glad to be taking the Madison family photos after doing Jalyn's senior pictures earlier this year. I felt I'd really gotten to know them from the previous photo session. Corey and Todd were looking for a Fall scene to take their children to and I recommended Lemon Lake Park in Crown Point where I'd shot a number of wedding photos at recently. We made good use of the lake itself as well as some Fall scenes like the tree logs and a brisk walk in the woods. A family takes a walk in the woods in Crown Point, Indiana. A family poses for an Autumn family picture atop a downed tree. It was overcast when we started the session, but I saw the big bright sun come out and we used it for a sunburst family portrait on the pier of the lake. It's one of my favorites of the day. A family poses on the pier of the lake as a giant sunburst comes through the trees. These are just a few of the Fall family photos of the Madisons with many more to come. It has been a busy season of portrait sessions. To book your own family session, please fill out the Contact Form and I will get back with you ASAP. Hope you are enjoying this Fall season, almost time for winter portraits!! Brother and sister chase the geese at Oak Ridge Prairie County Park in Griffith, Indiana. I like to call my children portrait work Lifestyle Portraits, but what exactly does that mean? I recently did an On Location Lifestyle Session with Andrew and Avery that shows what this session is all about. We chose Oak Ridge Prairie in Griffith, Indiana because we know we could get some great fall colors and the giant sled hill is a great place for kids to run around and the playground is pretty neat too. Brother and sister pose for a Fall portrait while sitting in the grass together in a Griffith park with red tinged leaves. Our goal is to always get a nice sit down portrait, but this can be a challenge with energetic kids sometimes. So I try to get this done early and capture a few of these images that a parent will want to hang on their wall or display at the office. Sooner or later though, it will be time to let them loose and get those clothes a bit dirty. And why not?!! Little girl swings from the trapeze bars at Oak Ridge Prairie playground. 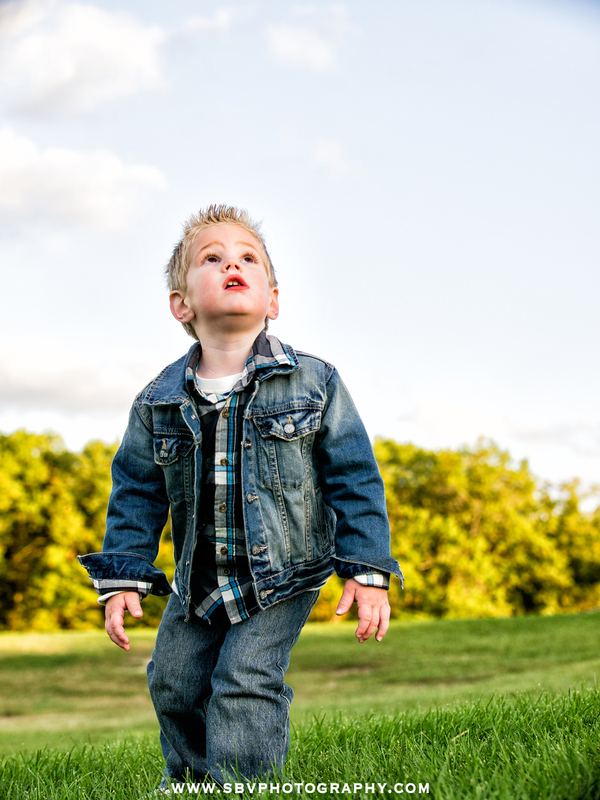 a little boy looks up toward the sky in wonderment as he is captured during a Lifestyle Portrait Session in Griffith, Indiana. These images are the core of what Lifestyle Portraits are all about. Capturing the joy and wonderment on their faces as they play without a care in the world is just as important as the posed portrait of smiling teeth. These types of images make for a great photo book to look back on for years to come. Little girl smiles as she plays in a Northwest Indiana playground for Fall Lifestyle Portraits. A little boy sits on a tree stump and smiles for the camera with fall foliage in the background. Letting them run around while I take photographs takes them away from their awareness of me and then we try again for some extra sit down images. By this time they are a little more trusting of me and (hopefully) ready for a break as well. A good time for getting great expressions. A sepia toned children's portrait of a brother and sister at a Northwest Indiana park during the Fall season. I photograph kids of all ages - business professionals, high school seniors, couples, etc. and keeping the "lifestyle" tag is always on my mind. It's important to capture real life, but in the best possible light. I'd love to have a consultation with you to tell you and show you more of what I mean. Also, check out the SBV Photography page for even more examples and photo updates.